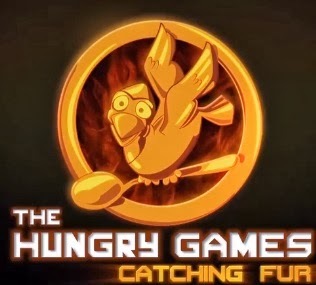 The Hungry Games: Catching Fur is Sesame Street's parody of the new Hunger Games movie, Catching Fire. In this five-minute long parody, Cookieness Evereat leads her team, which of course includes Pita, through the arena. I think the video is cute but not the best parody I've ever seen, especially since you have to learn lessons to proceed through the games because in these Hungry Games you can't eat the cookie...you have to think! Remember The Muppets Hunger Game trailer? Discover the new Hunger Games: Catching Fire calendar.